We’re no strangers to storms and rainfall in Portland and the rest of Oregon, especially between the months of November and March. Much of the time, soft rain showers are welcomed and feed our lush vegetation, but it’s not so nice when you start to find puddles indoors! 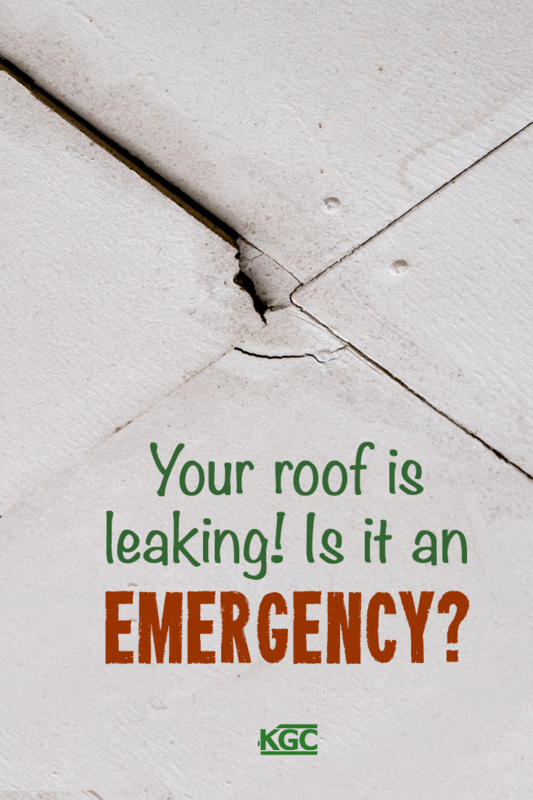 Stormy weather is often when roof leaks get noticed. Often by then, it’s too late to for prevention—there’s no more time to plan, you need help immediately. You may not need to completely replace your roof: it could be a simple problem with a simple solution. Condensation from an improperly ventilated roof, for example, can make it look like your roof is leaking, even it’s just a few droplets of water leaking through your ceiling. So what do you do if you see a leak? A small leak can let in a little water during rainfall, but this could evaporate quickly and the leak can go undetected for years. But weeklong showers or a heavy storm can suddenly turn a small leak into a big emergency. When you get a leak, water will pool and eventually start seeping out through whatever single point of exit it finds, like a light fixture or ceiling joint. And then it will find more escape routes, sometimes making it seem like it’s a far bigger problem than it really is. A lot of the time, leaks are caused by common roofing issues, like holes, gaps, damaged shingles, split flashings, or poor workmanship. Even with a really solid roof, roofing materials can get overwhelmed with large volumes of water. Cracked, worn or missing shingles or other roofing materials may not be completely waterproof and can let water in. Over time, a damaged underlay under tiles and slates can fail and also start letting in water. The same can happen for gutters and valleys. Another weak point are flashing junctions of the roof: when these get damaged or are poorly installed, water can pool and result in a leak. Or—a more serious issue—the pitch installation of your roof may not be optimal for our wet and snowy Oregon winters. The roof is leaking NOW—what do I do? You’ve seen the leak, and water is seeping in. What do you do? Quickly remove anything that can get damaged, like computers, curtains, lights, and decorative items. Unplug anything electric near the leak and turn off the power to the area. Move furniture away from the leak, or if the items are too heavy to move, cover them with a plastic tarp or trash bags. Warning: Don’t go outside or on your roof during a storm to find the source of a leak. You won’t be able to fix anything until the end of the storm anyway, and you may only be exposing yourself to danger. It can be tricky to find the source of the leak yourself: water will travel and find the easiest escape route, and the source of the leak might not line up with the pool of water. 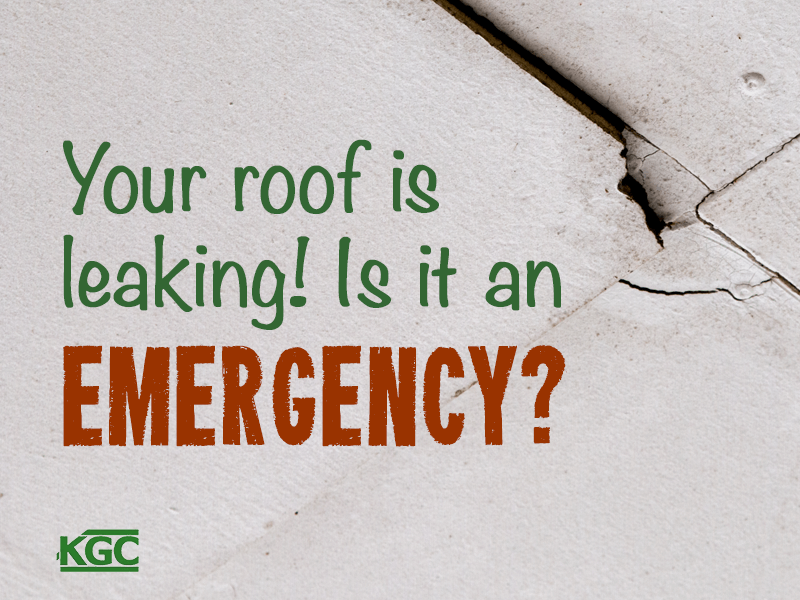 If you can’t find it, don’t panic, call a roofing professional. Start with the inside: Go up to your attic and look for the pool of water. If you find it, sponge off any pooled water. If there’s no water leak coming in from the attic, look for the bulge in the ceiling or the wettest spot of the wall where you first spotted the leak. Go to the bulge in the drywall and use a screwdriver to poke a hole in it to relieve pressure on the roof and ceiling. Place a bucket directly under the hole to catch the draining water. Call a reputable local roofing company. Remember that the repairs they make will have to last, so call a roofing company with experience. Repairs have to wait until the storm has stopped—but your roofing company will be able to place emergency tarping to cover the surface of the damaged area. When the weather has calmed, they’ll inspect your roof from the interior and exterior to trace the source of the leak and start repairs. Remember that the best way to avoid an emergency is to catch the issue as soon as you have warning signals. If you see a stain on your ceiling, don’t ignore it: get it fixed. By the time you notice real damage, it might be too late. We recommend you inspect your roof once or twice a year, in spring and fall. Use our checklist for guidance. And if you’re not sure where to start, give us a call and we’ll conduct a thorough inspection and help prevent water leaks and damages. Keith Green Construction knows how stressful it can be to have a leak in your roof. We’ll come out to you as soon as possible to repair your roof.